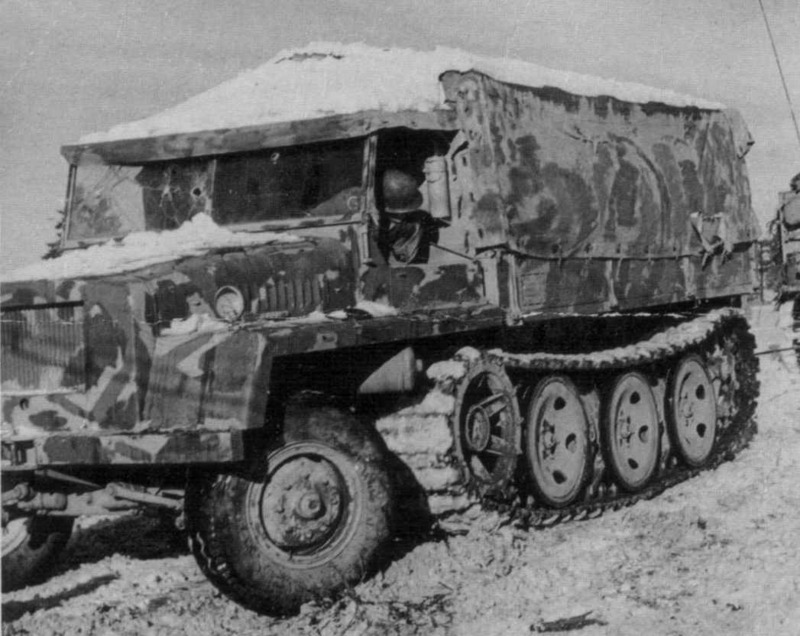 The Wehrmacht clearly neglected the vehicle as much as historians would later do, as the vehicle never even received an Sd.Kfz. number, which is quite a rare occurrence. 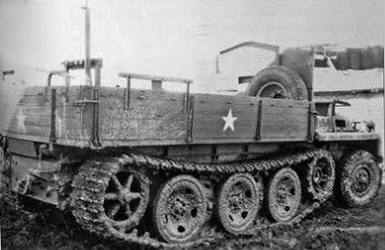 What I did find is that the vehicle is a Büssing NAG design and had a max weight of 13.5 ton. This kit is a real gem, with very little pitfalls and very little need for extra detailing. The manual lets the construction start with the lower hull. This goes together easily, although the rear plate (part 4) is slightly too wide. Unfortunately, the lay-out of the parts makes dry-fitting a bit tricky, even though the subtle locating pins help. Incidentally, this rear plate has nice detail on the inside which will be invisible after completion. On these parts you find some ejector marks, which will need some careful clean-up. I don't see why MACO couldn't have engineered the kit with these marks on the invisible inside instead of the outside. Nothing irremediable (as on other parts later on), but it takes some time to tidy up. A simple but nice decal is provided for the dashboard, of which little will be seen if you build the vehicle with the canvas hood closed. Note that the detail on the rear of the cab is lost, unless, for no particular reason, you decide to get rid of the woodwork of the cargo bed. At this point I was working on three subassemblies: lower hull, cab and cargo bed. Turning my attention back to the lower hull, I basically followed the instructions but made a small improvement by drilling out the end of the muffler. 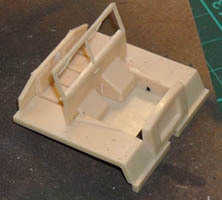 Apart from the running gear, I completed the assembly of the lower hull, before joining the subassemblies. During the assembly of the front axle, I noticed no problems whatsoever. The two wheel halves fit well, and no detail is lost in the process, although - admittedly - no thread pattern is present on the central part of the tyre face, which was visible on the real thing. Again hopping forward in the manual, I tackled the cargo bed next. Numerous ejector marks need to be cleaned up, but due to the nature of the parts, that's a quick job. I guess the three depressions on the bottom of the flatbed are to be drilled out for the Flak-carrying version (kit 72006), so I filled them in for my vehicle. 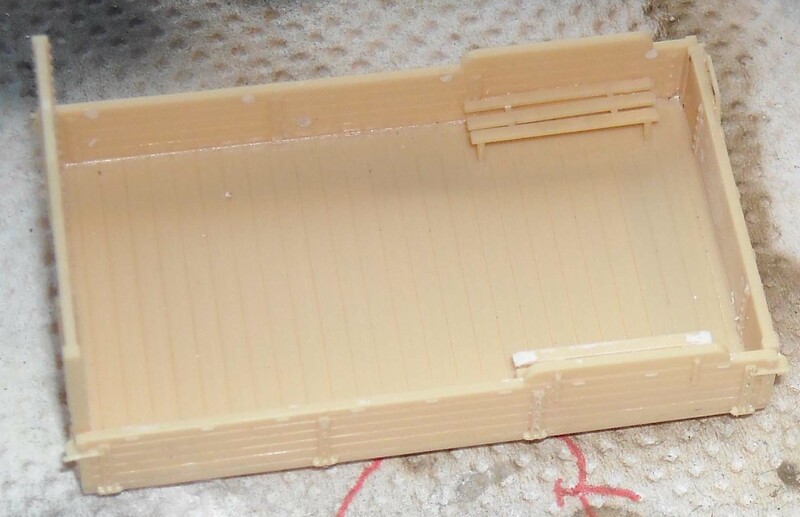 Also, there is a part (58) on the sprues, which I guess alternates with part 45 at the front of the cargo compartment in the Flak version. 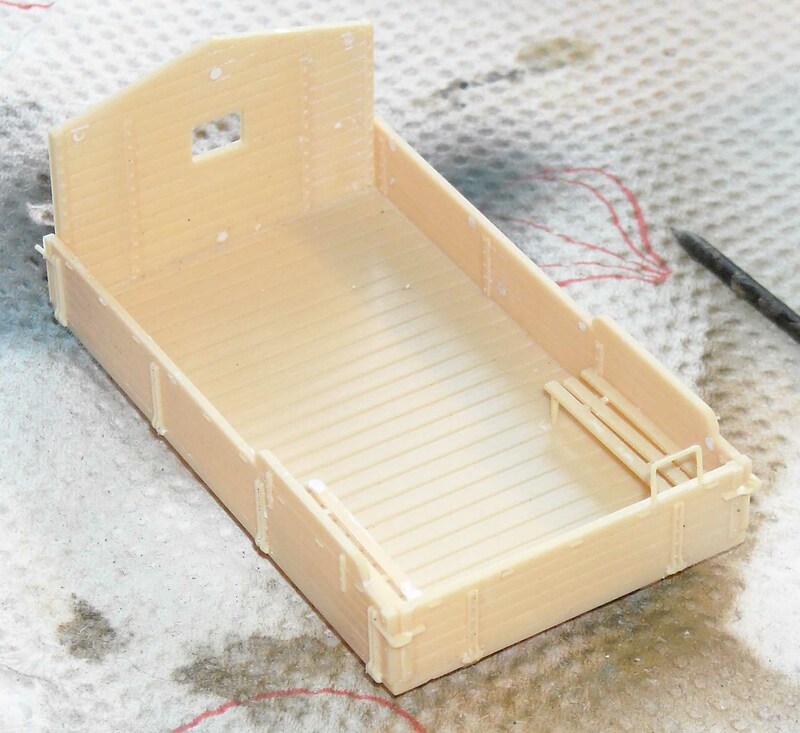 A dry fit of the lower frame (part 43) with the cargo bed was so good that I felt I did not need to glue it, which really helps with painting the lower frame and tracks ! 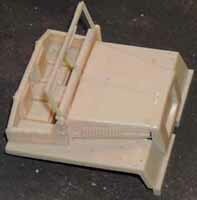 The finished vehicle is just that: a cargo bed, snapped onto the lower hull. With the lower hull finished, except for the running gear, I added the cab to it, minus windscreen, as this would have to go on after painting. Piece 28 (which I was unable to identify) was broken on the sprue, but easily repaired. It took me a long time before I discovered piece 17 (which I believe is the filler cap for the fuel tank). It was attached to the rear hull plate (part 4) on the sprue, and as my brain was on a holiday during this build, I had actually left it attached to the hull until after the painting and weathering phase. 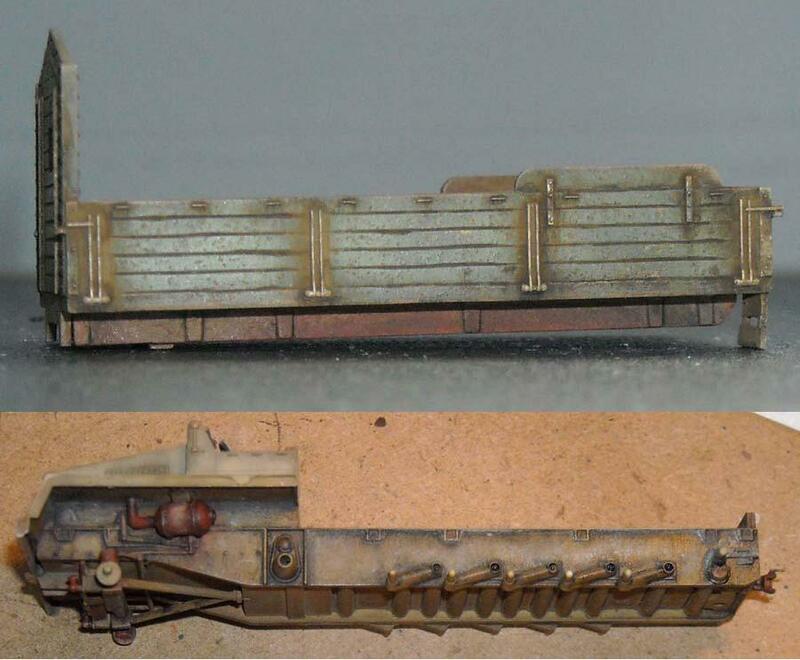 Down to two subassemblies, I painted and weathered the cargo bed and the hull separately, and then turned to the gear. The fact that you can easily add and remove the cargo bed makes life a lot easier, but in hindsight I should have assembled the gear before adding the cab. If there is a weaker spot in the kit, then it's the roadwheels, as they present some minor deficiencies (most of which, after assembly, are hidden). The most annoying being the uneven rim, which, among others, makes it more difficult to paint the rubber tyres. The running gear assembles 'the Dragon way', with the rear halves of each wheel interconnected on the sprue, so you can't misalign them. Nothing of this connection will be visible after assembly. 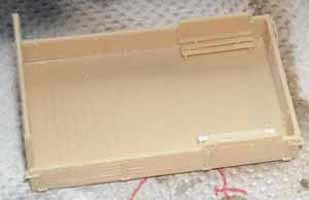 The tracks are link and length and very nicely cast with realistic detail. Still, they have given me a head-ache, which is mostly mine to blame. But first, the good news: there is no way you can put these tracks on backwards, as they are not handed. The individual links come in two types: the actual track pads and connector links, which slide into each other very nicely. So far, no head-ache. 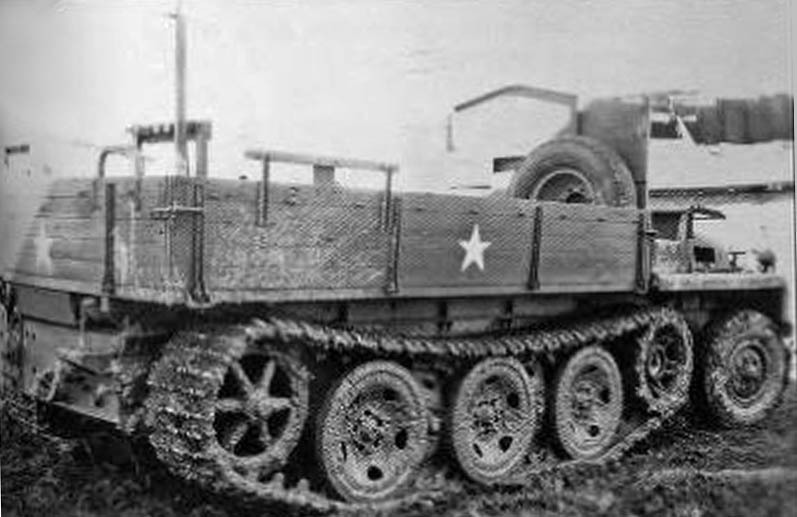 The first cause of trouble was my choice of assembling the tracks after the lower chassis was mated with the cab. (This assembly was already painted at this stage.) This is manageable, as this modus operandi only obstructs your access to the drive sprocket, and this can be fitted out with track links before you glue it to the hull. If, on the other hand, you want to correct something when the whole running gear is on the hull (as I had to do eventually) you are in trouble. My advice: follow the manual and do the tracks at the start of the build. Secondly, when doing the drive-sprockets I discovered that a track pad plus link came out just a tad longer than the distance between two teeth. Either I didn't insert the one into the other deep enough, or you need to give a gentle rub with some sandpaper to each connector. If you don't, you will run out of space or have a track assembly around the idler with a slightly larger radius (i.e. with some stand-off). Neither option is really pretty. That the track teeth are rather poorly endowed, doesn't do any good here either. Moreover, I always tend to feel that with my limited skills there is always an ever so gentle misalignment to be noticed with these individual links, which eventually made me decide to do "some minor fixing". This minor fixing resulted in some foul words to be uttered and the whole track assembly to be disassembled on one side. When re-assembling I chose to place the longest lengths (and not the individual links) around the idler and drive sprocket, which eliminated any problem I experienced before. The fact that these lengths are very flexible helps enormously. If I ever build the same kit again, I will wrap lengths around the idler and sprocket again (where misalignment is the most noticeable) and make longer section out of the individual links for the top and bottom run, which actually looks more natural as they now fall better on the roadwheels than the perfectly straight sections. Another inconvenience of the fact that a "track unit" is two pieces wide (pad + connector) lies in the fact that it is difficult to match the circumference of the running gear by a multiple of "track units". There is little margin for sag, so you might want to create some play by doing the idler last and moving it slightly forward or backward to create a good match. For the ham-fisted like me: you get about 10 spare links, so you have some margin for error. Some final details were then added. 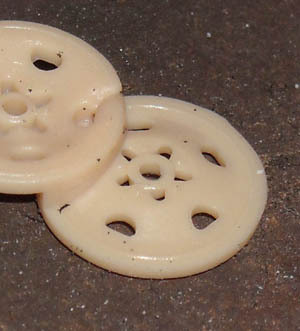 A width indicator was found in the catalogue of BP resin (previously JK Resin) and replaced the piece on the right fender. The width indicator on the left fender and the Notek were not fitted as the picture I was using as a reference did not show them. I drilled out the headlights and filled one with Kristal Klear. 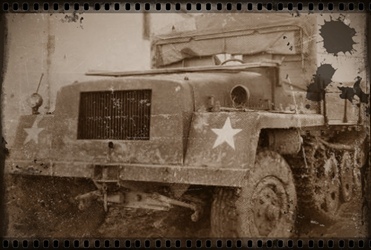 The other would have been damaged in battle (again based on the pictures - see below). 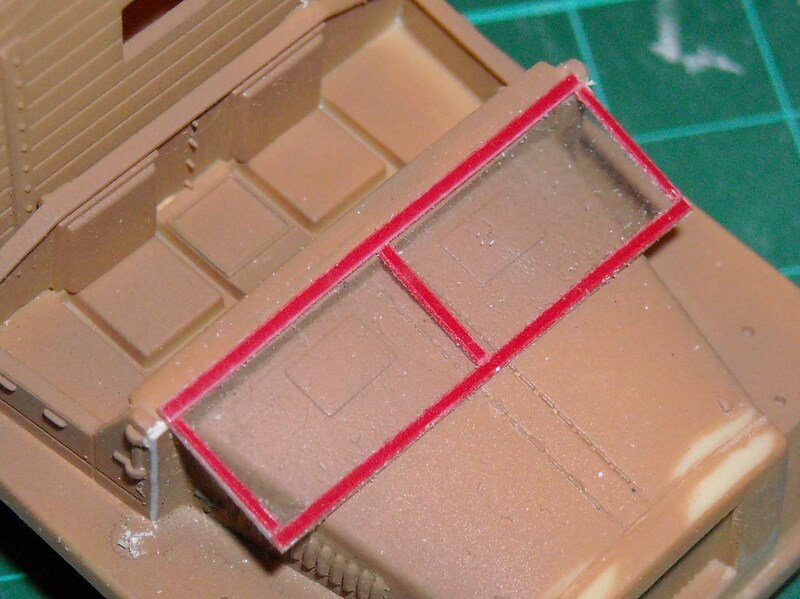 The windscreen was added and a partially folded canvas for the cabin was made from paper towel, impregnated with white glue and some plasticard for the folding mechanism. Maco provides a canvas hood for the driver's compartment and the cargo bed (minus the sides), but I did not use those parts. While good, they might benefit from some extra creasing. 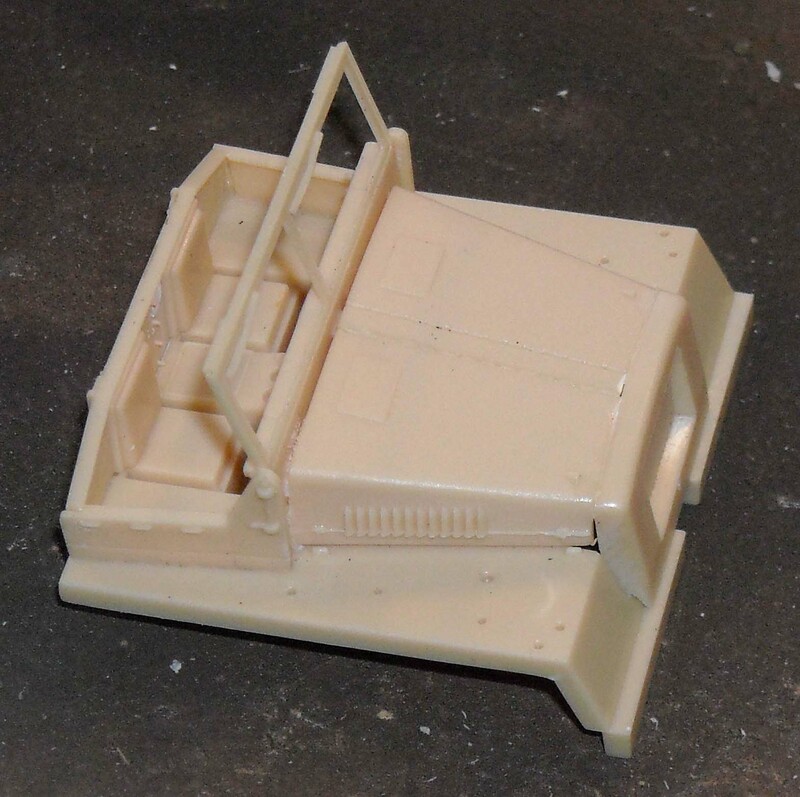 I had a copy of the front wheels casted to be put in the cargo bed, as I wanted my model to correspond as closely as possible to the pictures I had at hand. A pin in the shape of an inverted 'L' was inserted in the front tow coupling. At the end of the build you are left with two Bosch headlights, an axe and a Notek light (or two in my case, as I left it off). Very nice additions for the spares box. The reason for this is that Maco has engineered the sprues in a way that you get two identical sprues on which some of the parts are only needed once, and that Maco has already included some parts for other variants of the sWS. The vehicle was painted with Vallejo paints according to one of the options in the manual which shows a vehicle in use by American troops. 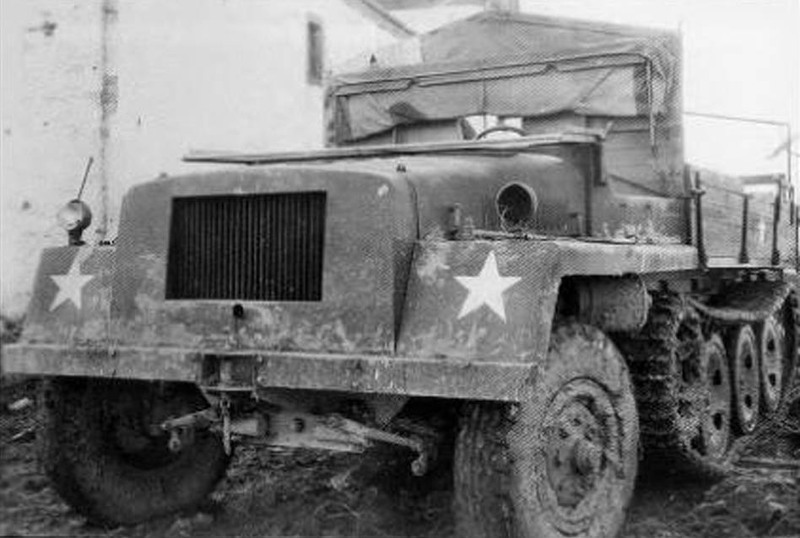 I believe this vehicle is meant to be the same as shown on Piet Van Hees' website, but if it is, then you only need one star on the rear instead of two and you need smaller stars for the front fenders. I took care of the former issue, but did not bother with the latter. The decals are very thin and react very well to Set and Sol; they actually tend to slightly dissolve when using these products which makes any carrier film disappear. The only negative comment I have about the decals is that they show very slight striations in the stars, which is probably due to the printing process. The dissolving effect of Set and Sol and the oil washes I applied made these striations disappear. As I mentioned before, my specimen is absed on these two pictures. Pictures above from Piet Van Hees' website, used with permission. My references on this vehicle are quite poor, but I can recommend Piet van Hees' website at http://www.pietvanhees.nl/sws/.